Do You Need a Specialist Laptop Repair in Rotherham, South Yorkshire ..? 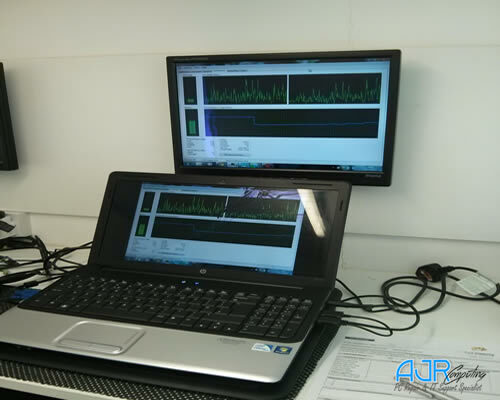 Whether your laptop is running slowly or not running at all, AJR can help! 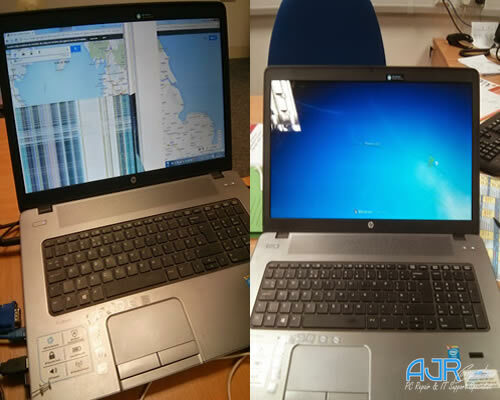 AJR knows Laptops inside and out because we've been fixing them for years and pride our self’s on been specialist laptop repair in Rotherham, South Yorkshire engineers. There is no reason to buy a new laptop when AJR can repair or upgrade your current Laptop at a fraction of the cost of buying a new one. Here are some of the laptop repair services that AJR provides in order to help you up and running again. Is your screen cracked? Do the images flicker or is the screen just dark? Does your laptop start up but after a while fades to black? No Problem! AJR see this every day. 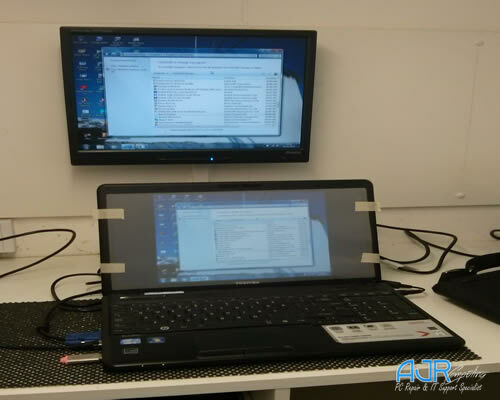 We can fit any make or model Laptop screen. For Apple MacBooks, we are considerably cheaper than the Genius bar for screen repairs too. The power socket on your laptop, where you connect the power cable is called a DC Jack. It is very common for the DC jack to break, so don't worry if yours has. AJR can fix it. You'll know that your DC Jack is faulty if your laptop only works on battery power and won't charge or if the DC jack feels wobbly and you need to wiggle the power cord around to make it come on. (By the way, "wobbly" & "wiggle" is our non-technical jargon language.) Most likely the DC Jack needs to be replaced. It's actually very important to do this because each time you wiggle the connector, you're risking breaking it and sending an electrical surge into the laptop, which can cause data loss. Most manufacturers don't make the connection between the DC Jack and the board strong enough so they break easily. When AJR repairs it, we'll make sure that it's as secure as it can be. AJR is so sure of our fixes that if it breaks again within 3 months, for any reason, we'll fix it for free. These days people eat & drink at their desk while using their laptop, so it's quite common for liquid to spill on them. The problem is that laptops don't really like liquid. If you have spilled something on your laptop, the first thing you need to do is remove the battery & power cord if possible. You really don't want to turn on the laptop while there is water in there. Then turn the laptop upside down, so the liquid can hopefully fall out of the keyboard and direct it away form the motherboard. If it was water, you might be lucky enough that in a couple of days you can power the laptop back on and it will be fine. If it was anything except water, especially alcohol, or sugary drinks, then you want to take your laptop to a specialist as quickly as possible. Even as the liquid dries, the sugar will corrode the components inside the laptop causing more damage. 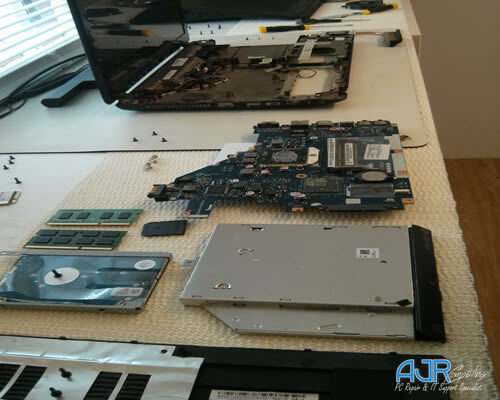 AJR will advise you on what can be done, from rescuing the data off your laptop, right up to stripping the laptop down, cleaning the individual components, and bringing your laptop back to life. In most cases we can clean the laptop and get it working again without any new parts required. But sometimes the keyboard might need to be replaced. In absolute worst case scenarios the Mother Board needs to be replaced. Is your keyboard missing keys? Did water spill on your laptop and now certain keys don't work? Do the keys keep popping off? It's probably time to replace your keyboard. AJR can replace the keyboard of nearly all brands of laptops, including Apple MacBooks. Does your laptop work for about 20-30 minutes but then shuts off suddenly or at random? Does it get very hot at the bottom? Heat in a laptop is a killer. There are fans inside it to keep it cool but they get clogged up with dust and don’t work as well as they should. If your laptop is getting too hot then it will cause irreparable damage to the chips inside it and possible data loss. 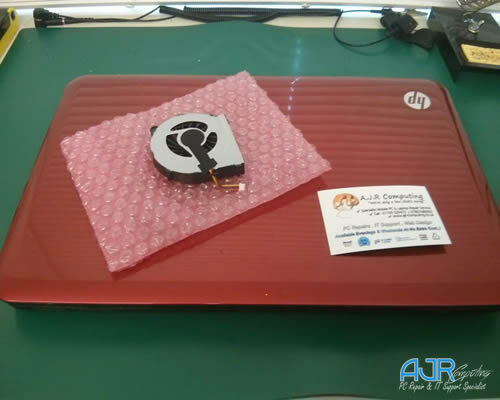 We can clean the internal fans, which will allow air to flow through the laptop again. We will also refresh the thermal compound on the chips. Thermal Compound helps to get heat away from the important chips, keeping them cool so that they work at full speed. Laptop does not power up. Laptop LCD screen is very dim or dark. Nothing is visible on laptop LCD screen but it works if plugged into an external screen. Laptop screen is not turning on. Laptop screen is cracked or damaged. Laptop backlight problem / inverter problem. Laptop GPU/ Graphics Distortion on the display. Laptop is over heating or shutting down. Loose or broken hinge repairs. Laptop DVD Drive upgrade and replacement. Replacement of broken or cracked plastic parts. Upgrade of hard disk to SSD. Spare or replacement batteries and power cables. Laptop virus and Spyware Removal. Removal of annoying popup and spyware from laptop. Data and file rescue services (from defective laptop hard drives). Transfer of data to your new computer. Repairs for “blue screens of death” and other Windows issues. 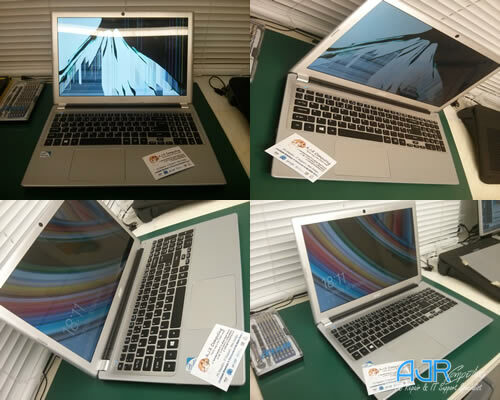 If you need any help with Specialist Laptop Repair In Rotherham or surrounding areas, don't hesitate to contact AJR, we will be more than happy to help you resolve your Laptop issues and problems that you may be experiencing.